Go! 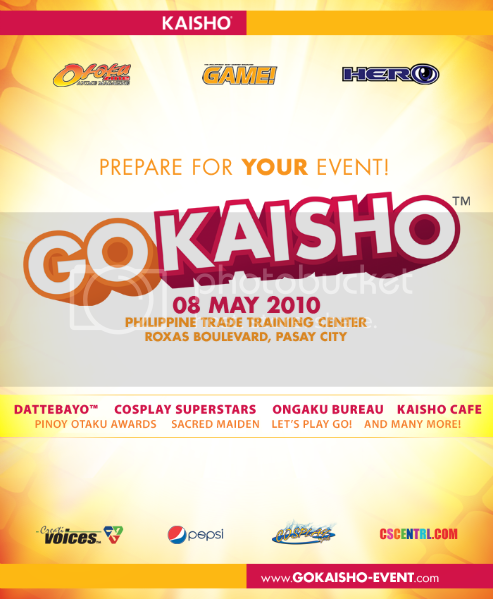 Kaisho Is a One-Day Event Packed with Games, Music and Cosplay! Here's another cosplay event we really want to cover, and hopefully we can get our real world bosses to give us some time off for this. Plus I have to check out where the Philippine Trade Training Center is. 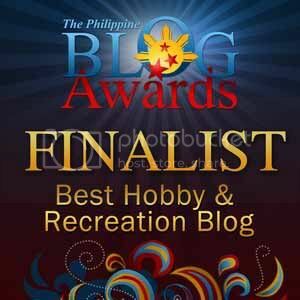 I guess I'll just have to follow the hordes of cosplayers roaming around Roxas Boulevard to find the place. 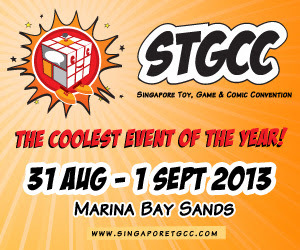 A lot of stuff to look forward to including lots of games and of course individual and group cosplay contests. May 8th is still a couple of weeks and I hope we can prepare some stuff to give out at the event. Check the break for the full poster. Go ahead and click the image for a closer look and do check on the source link for full details on the cosplay contests.